Apply NOW to be a 2020 Senior Model Squad Member for Gena Ford Photography! WHAT IS A SENIOR MODEL SQUAD MEMBER? A SENIOR MODEL SQUAD MEMBER is simply a current high school JUNIOR who wants to do her or his SENIOR PICTURES at Gena Ford Photography, who loves my work, and who is ready now, as a Junior, to be part of a very special group of seniors who represent their school at Gena Ford Photography. Do up to two individual photo sessions with me during your junior and/or senior year. Participate in contests, work in the studio or on location and more! ***IMPORTANT - ALL APPLICANTS MUST HAVE PARENTAL PERMISSION BEFORE APPLYING. IF YOU APPLY WITHOUT PARENTAL CONSENT, YOU WILL BE DISQUALIFIED. MAKE SURE YOUR PARENTS HAVE READ THROUGH THIS INFORMATION BEFORE YOU APPLY BELOW. ONCE I RECEIVE YOUR APPLICATION, I WILL CONTACT YOUR PARENT NEXT. Does it COST to be a rep? NO - I do not charge extra for being a SENIOR MODEL SQUAD REP.
You pay for whatever session you'd like and for what pictures you'd like. As a SENIOR MODEL SQUAD REP (or as the parent of one), you can earn cash for referring other rising seniors and their parents. For consideration to be a part of our exciting SENIOR MODEL SQUAD REP TEAM, please fill out the form below. Be sure to fill out this application in FULL. I look forwarding to reading your answers! Do you have your own transportation to travel to photo sessions? Choose ONE: IF share vehicle, go to next question. I will be contacting your parent about your application so make sure they are aware BEFORE you apply. Do not enter your own contact information. This MUST be your parent's contact information. I will be contacting them directly. If you apply without parental permission, you will be DISQUALIFIED. List any clubs, sports or hobbies that you are involved in, including school activities and clubs, and anything outside of school. Why do you want to be a Senior Model Squad Rep for Gena Ford Photography? In your opinion, what sets Gena Ford Photography apart from other photographers in the area? Have you ever worked with a professional photographer? If so, who and what is the name of their business? Social Media: If you don't use a certain social media, just type NONE. This information is important. Did someone specifically nominate or refer you to apply to be a Senior Model Squad Rep? Who nominated or referred you to apply as a Senior Model Squad Rep? NOMINATE FOUR (4) CURRENT JUNIORS (RISING SENIORS) you know that might be interested in being a Senior Model Squad Member. NO EXPERIENCE IS NECESSARY -- My reps are average young men and women who want to work with a professional photographer during their junior and senior year, who love my work, like to have fun and want wow-factor photos! 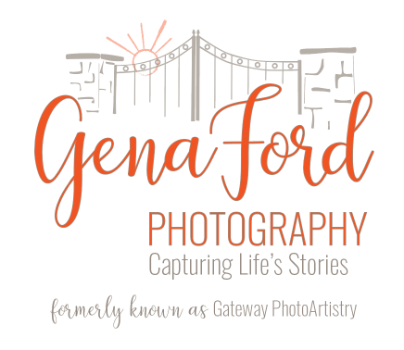 My reps earn cash, perks and discounts for referring their friends to Gena Ford Photography. If you're selected to be a Rep, I will ask you to participate in contests and to nominate your friends to be Senior Model Squad Rep. Please upload a picture of yourself below. Thank you for applying to be a Senior Model Squad Rep for Gena Ford Photography. If you have any questions or comments, please don't hesitate to contact me. Thank you for applying to be a Senior Model App!